With SIHH approaching in January, brands are starting to strut their stuff a little early as teasers for the big news that’s coming. 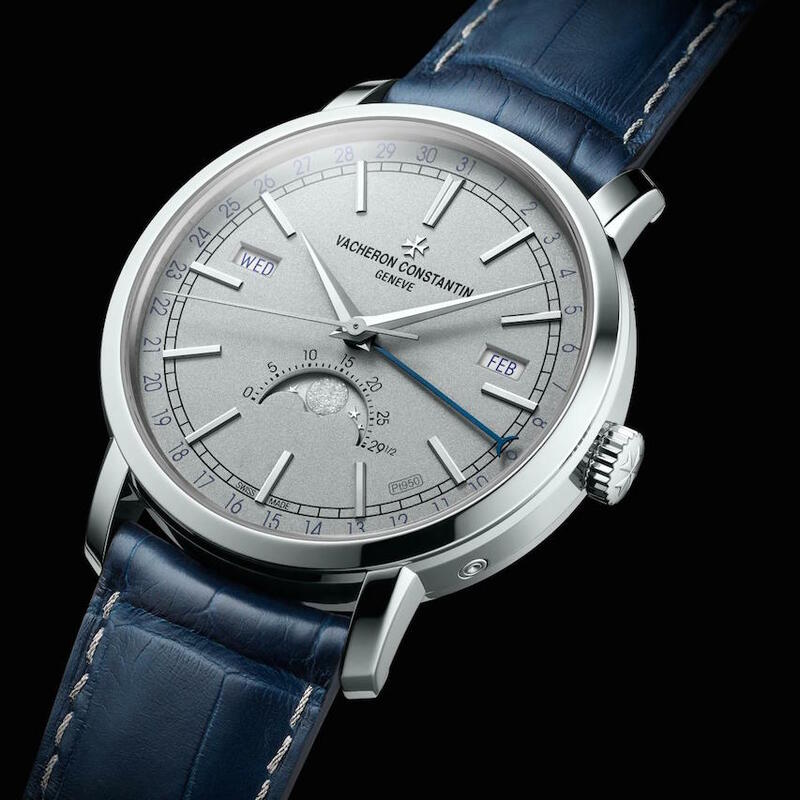 To that end, Vacheron Constantin has unveiled several new watches including new versions of the Overseas Dual Time watch and, — our favorite– the Vacheron Constantin Traditionnelle Complete Calendar watch in platinum. Just 100 numbered pieces will be made as part of the Collection Excellence Platine concept that the brand first launched in 2006. The complicated timepiece is equipped with an in-house caliber and features a beautifully balanced dial. 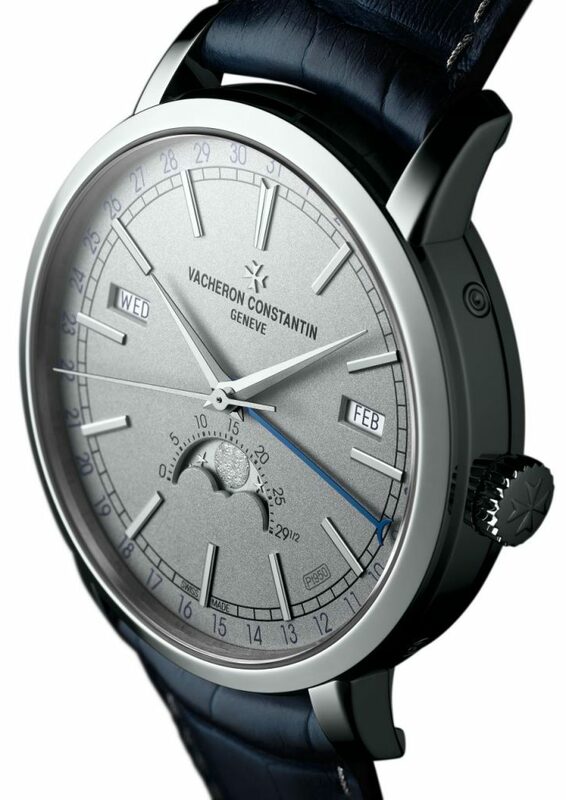 For the past 11 years Vacheron Constantin has been adding complex limited-edition pieces to the Collection Excellence Platine — with watches all made in 950 platinum. The Pre-SIHH 2018 Traditionnelle Complete Calendar Collection Excellence Platine watch has a 41mm “Etage” case and and a fluted case back. The alluring dial is sand-blasted and bears the secret “Pt950” inscription between 4 and 5 o’clock — attesting to the rarity of the noble metal. Because in its pure form, platinum is incredibly hard to work, a small amount of copper is added to make it more malleable. The 950 indicates that the material is 950 percent platinum — the requirement for platinum cases. The dial features a railway minute track on the outer edge. The hour markers and hands are crafted in solid white gold. The complete calendar spans the dial, with the day of week and the month visible via apertures at 3:00 and 9:00, and the date is indicated via a blued pointer hand on blue numerals on the outer edge of the dial. The moon phase indication at 6 o’clock on the dial features a platinum moon. 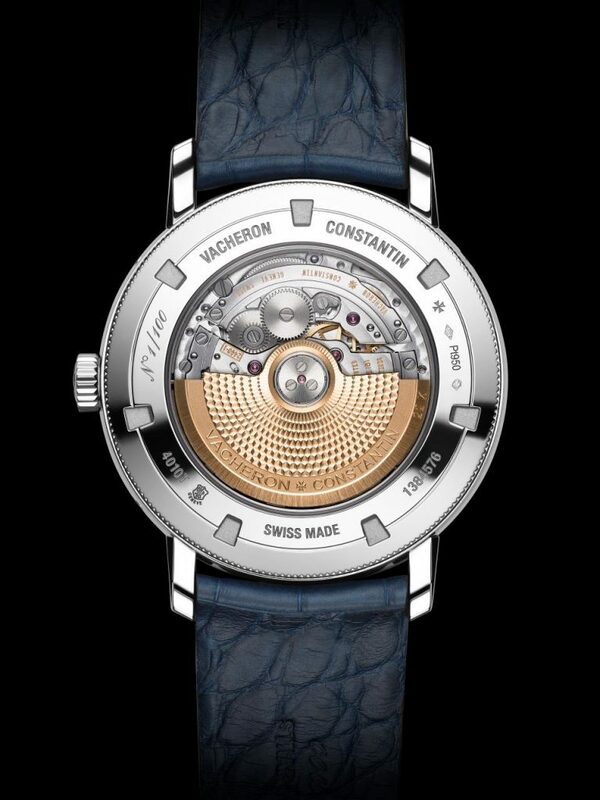 The watch is powered by the 308-part self-winding Caliber 2460 QCL that was developed entirely in house by the brand. It is equipped with a 22-karat gold oscillating weight and offers 40 hours of power reserve.The remarkably accurate moon-phase indication requires just one adjustment every 122 years (compared with three years for a simple moon phase). Water resistant to 30 meters, the watch is finished with a blue alligator strap that is hand-stitched using 950 platinum and silk thread. It retails for $68,500. This watch is a beauty and is one that will only accelerate in value with time. COMPLETE CALENDAR Collection Excellence Platine is platinum.